As we all know, there will always be advantages when we hire a real estate agent. While doing all the work yourself can save you from any commission rates, but for most home investors, going solo might not be a good idea. You might not want to end up committing costly mistakes. It doesn't matter if you plan to invest in South Park District, there is still a need for you to consult and hire a realtor for it. Although there are things your agent won't tell you, that doesn't mean you are not going to be concerned about. Without understanding the process of investing, there will be misunderstandings and complications in the long run. That is why, to give you some ideas, below are the top 7 things most realtors won't tell you about. This is one of the many reasons why most home investors tend to be hesitant when hiring a realtor – the commission rate. Well, you just can't blame since some realtors would demand higher rates. Other people also believe that it is going to be a 50/50 between the seller's agent and the buyer's agent. Although commission rates would depend on both parties, what you don't know that it can be negotiated. But unless you're dealing with homeowners who don't want to work with a buyer's agent, then there's no reason for you to carry the burden alone. Moreover, it won't cost or hurt you if you decide to engage with the services of a real estate agent. 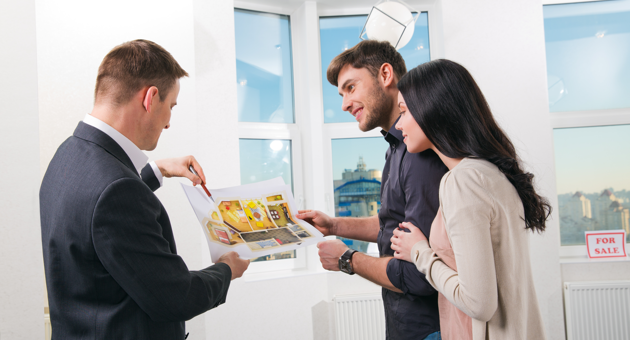 One of the reasons why we hire real estate agents is that we want to sell a home. However, as a home investor, you also have to remember that agents can only help you achieve the basic things that you. Yes, your agents might tell you that he/she can help you sell your home in no time. But that doesn't mean they can predict the situations when it comes to who and when your home is going to be sold. Real estate agents don't have any hold of what's going to happen. For as long as they do what they need to do, then they will definitely help you with that matter. But, you should not expect or set your standards too high. When selling your home, you should also be patient when it comes to it. A real estate agent can help you buy or invest a house. But if you are not financially prepared for it, then your agent might have a hard time offering you a good deal. As a home investor, you also have to remember that agents are just there to help, guide and assist you with the transaction you made. However, they can't help you when it comes to financial matters. It is your responsibility to provide such for any monetary needed. Before anything else, you have to assess yourself on whether or not you can afford to invest in a real estate. If so, then you can proceed to the next step which is the transactions. And another thing, you should also make sure that you have a good budget for it for as not to face financial problems later on. It would be unethical and unprofessional when you ask your agent about their race or ethnicity. Yes, asking out from curiosity might not be a bad thing at all. However, before you ask, you should also consider their feelings if they are going to be offended or not. Moreover, never ask them about it especially when you are in the middle of the transaction. This is definitely rude on their part. Additionally, you should not care too much about it since what matters the most is a successful real estate transaction. For as long as there would be no problem when it comes to working with each other, then there's no problem with it at all.